The FedExCup playoffs conclude this week with the Tour Championship at East Lake Golf Club in Atlanta. Tee times for the Tour Championship begin Thursday at 11:40 a.m. ET with Marc Leishman and Patton Kizzire getting things started. Tiger Woods tees off at 12:30 p.m. along with Tommy Fleetwood. 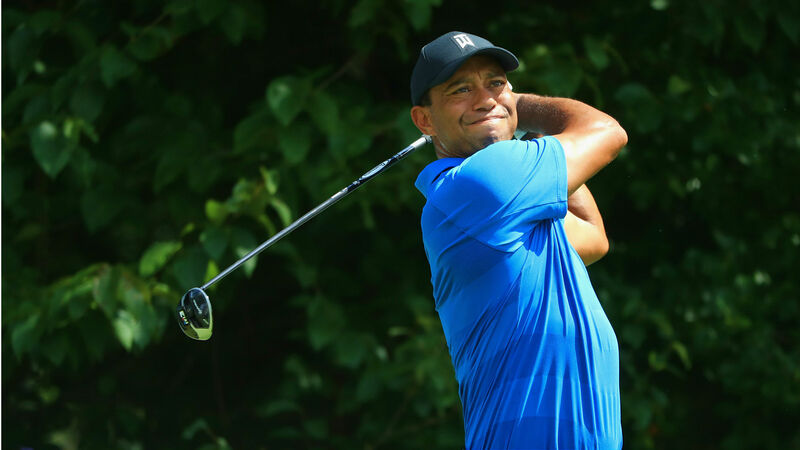 In his first FedExCup playoffs appearance since 2013, Woods sits at No. 20 in the FedExCup standings, 1,781 “reset” points behind leader Bryson DeChambeau; the winner of the Tour Championship gets 2,000 points added to his reseed total, so Tiger is mathematically in the hunt. Here’s how to watch Tiger Woods and the rest of the field live at the Tour Championship. Tiger Woods tees off Thursday at 12:30 p.m. ET along with Tommy Fleetwood for Round 1. You can see tee times and pairings for the full field at the Tour Championship below. Golf Channel will have live coverage of Rounds 1-2 of the Tour Championship on Thursday and Friday starting at 1 p.m. ET. On Saturday, Golf will have live coverage of Round 3 beginning at 12:30 p.m. with NBC taking over at 2:30 p.m. On Sunday, Golf Channel will start final-round coverage at noon with NBC taking over at 1:30 p.m.
You can also live stream the Tour Championship at GolfChannel.com, PGA Tour live and via NBC Sports (Saturday and Sunday). PGA Tour Live’s Thursday and Friday streams will begin at 10 a.m., with Featured Groups including Tiger Woods and more. After the Featured Groups, Live will transition to Featured Holes coverage on Thursday and Friday at 1 p.m. Saturday’s and Sunday’s Featured Holes coverage will begin at 11:30 a.m. PGA Tour Live also can be viewed on Twitter.